A compatibility patch for Nock to Tip Master Edition An Archery Overhaul by Foster and T3nd0's Perkus Maximus. Fixed Iron Arrows so they can now be picked up. A compatibility patch for Nock to Tip by Foster and T3nd0's Perkus Maximus. 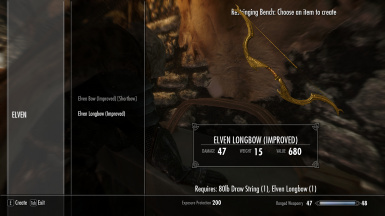 You can now upgraded the bows added in by Perkus Maximus by using the restringing bench added in from Nock to Tip. You need both Nock to Tip and T3nd0's Perkus Maximus for this to work.